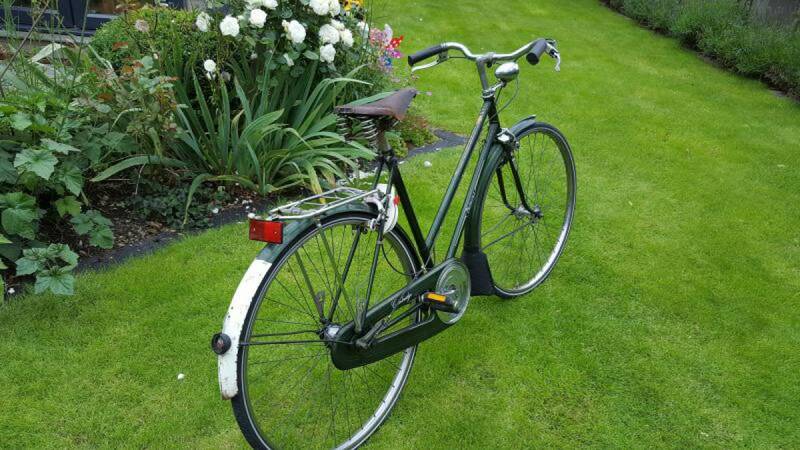 Batavus Cambridge Lady Classic vintage style Dutch bike 3 gears. 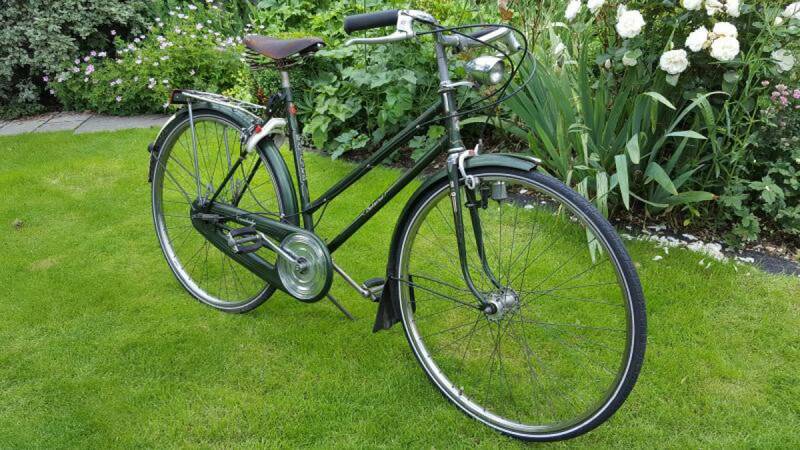 This bike comes complete with front lamp rear lamp broken off, an enclosed chain guard, comfy leather saddle I think it is a Brooks, and a rear carrier pannier rack and rear wheel lock with key. 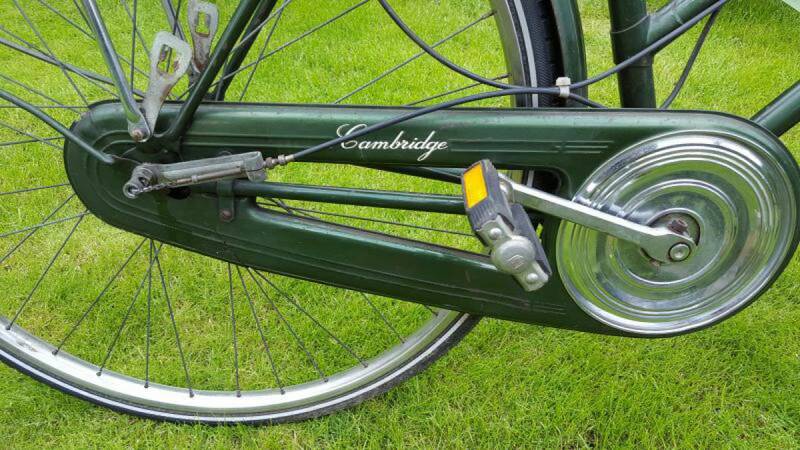 The bike is green in colour with the odd mark/scratch/ rust on the pedal arms and handle bars due to use/age. The tyre's are in good condition. As this is a used bike, there may be the odd screw/fixing which show signs of corrosion.